Albany, New York - Independent development team CrioSoft is proud to announce the release and immediate availability of Injection Tracker & Reminder 1.6.9, the important update to their popular medical injection tracking app for iPhone, iPad, and iPod touch devices. 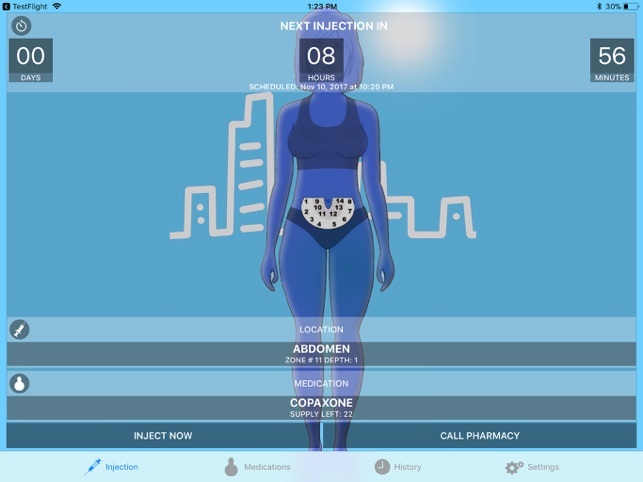 The app tracks patients' injection schedules, reminding them when an injection has been missed. The app is highly customizable, making it easy to adapt the app to anyone's unique needs. 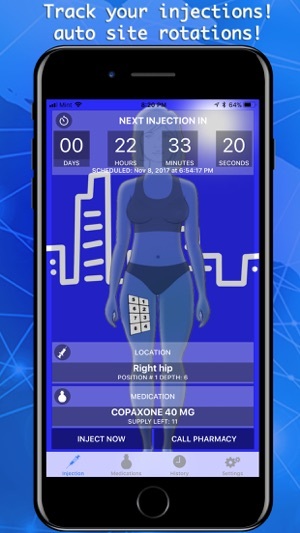 "Injection Tracker & Reminder was originally designed to aid patients afflicted with Multiple Sclerosis with their injection needs, and injection site rotations," says CrioSoft CEO Andrey Krasnov. "After a while, it was adapted to accommodate all other patients with different diseases to ease up their lives, while being on injections." Injection Tracker & Reminder never violates a user's privacy, as there is no need for registration, and the app never collects or sends user information back to the developer. All information is stored and kept on the device, ensuring all data stays secure and private. "Injection Tracker & Reminder will send multiple reminders for upcoming injections, accurately keeps track of the history of all your past injections, keeps track of your current medication supply, and even offers a quick and easy way to call your pharmacy right from the app," continues Andrey. "As a huge benefit - we do listen to our users, and change and add functionality, based on their requests! We can't wait to read our users' suggestions!"